With the onset of colder temperatures and daylight saving time, my thoughts turned to tying flies for the upcoming 2012 season so on Saturday, November 5 I made a list of the flies I plan to have on hand to begin the 2012 season. I counted my inventory and subtracted to determine what I needed to tie. Jane agreed to accompany me to Charlie’s Fly Box in Old Arvada on Saturday afternoon, so we departed at around 3PM. A friendly salesperson greeted me and helped me gather all my materials in a basket. He also advised me on the materials required to make the irridescent nymph that I took along and requirements for the jujubaetis. After making our purchase, Jane and I discovered a new micro brewery in Old Arvada so we checked out the tasting room and purchased a pair of Arvada porters. Next door was a new Belgian Frites (french fries) shop, so we shared a cone of fries along with a sampling of dipping sauces while we drank our beers. On Sunday I got down to business and began tying beadhead hares ear nymphs. I managed to crank out 22 off and on around a bike ride and watching the Broncos. 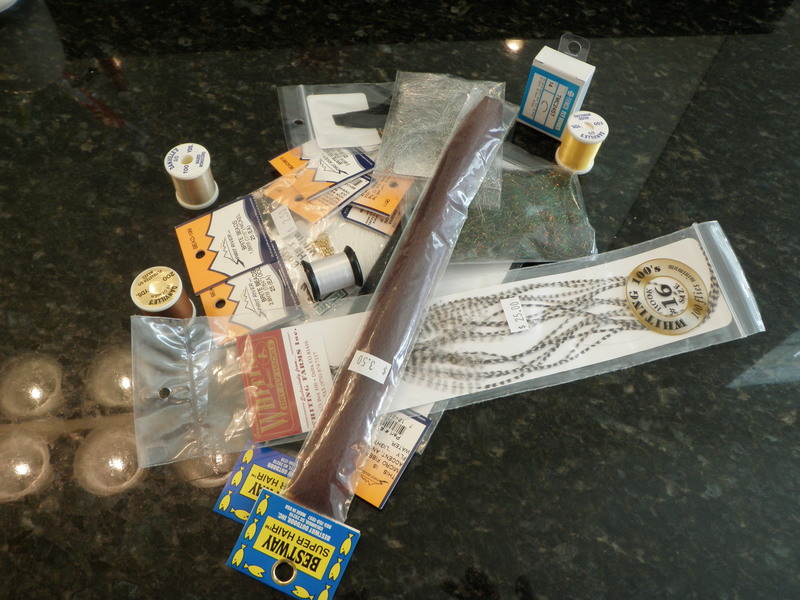 This entry was posted in Fly Tying by wellerfish. Bookmark the permalink.